In 2004, we moved out of the city to live in the mountains. 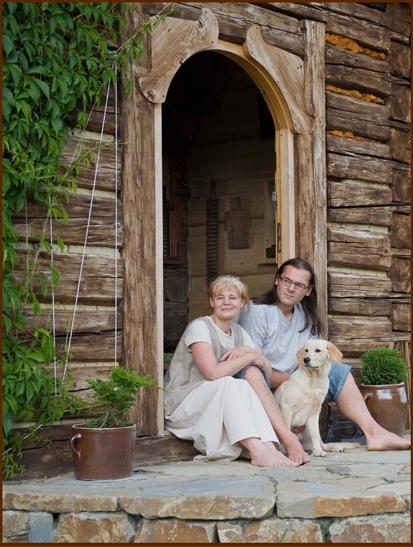 Since then, we have moved a traditional wooden mountain cottage to Lutowiska (Magoda) and renovated another one (Bojkowska) and converted them into guesthouses. Renovating old wooden cottages and rescuing them from oblivion has become our passion – Maciek has carried out all the construction works on his own. Jagoda published a book about living in the countryside in May 2016. Lutowiska is the place we live, work and enjoy every single day.